Orange County rowing programs join forces; will continue to promote boating education. NEWPORT BEACH — Two Orange County rowing programs officially joined forces, it was announced in late May. 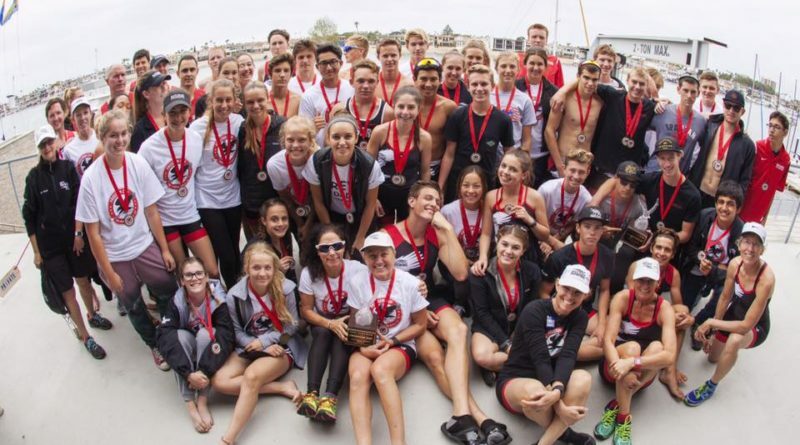 Newport Sea Base and Southern California Scullers formally announced a merger last month, bringing a youth boating/maritime center and competitive rowing organization together under the same roof. The new joint venture will feature Dan McGill as men’s varsity head coach, Ian Simpson as managing director and Michelle Green as rowing director. Simpson and McGill founded the Scullers in 2013. All operations will now be based in Newport Beach. This merger means Newport Sea Base and Southern California Scullers will share athletes, coaching staff and equipment. Both organizations experienced a solid track record of success as individual entities. Newport Sea Base, located at Newport Beach Harbor, offers educational programs in marine sciences, paddling lessons, sailing, scouting and wood working to all youth between 6 and 20 years old. The organization also offered competitive programs in dinghy sailing, junior and master rowing, and offshore sailing. The Sea Base’s rowing team had three boats competing at this year’s U.S. Rowing Youth National Championships, held June 9-11 in Sarasota, Florida. Newport Sea Base, which launched in 1937 and celebrated its 80th anniversary this year, served more than 6,100 youth in 2016. Meanwhile Southern California Scullers, a U.S. Rowing High Performance Partner Club, won the inaugural Red Bull High Stakes in 2015 and several national championships. The club finished second and fourth in the women’s single at the 2016 Olympic Trials. The Scullers club, based at Sunset Aquatic Club in Huntington Harbour, offered training programs for various levels of rowers. An elite training program was available for adult athletes. Separate training programs were available for college and high school students. The club also offered private rowing classes. Scullers’ co-founder Simpson left his position as head coach of Cal State Long Beach’s women’s rowing team to act as the joint venture’s managing director. Some members of the Scullers club were training for youth nationals, U23 trials and senior trials when the merger was announced. The merger would not interrupt the various training process, according to Simpson. More information about Newport Sea Base Rowing is available at seabaserowing.org; information about Newport Sea Base in general can be found at newportseabase.org. The Scullers website is socalscullers.org.